Gorgeous, isn't it? 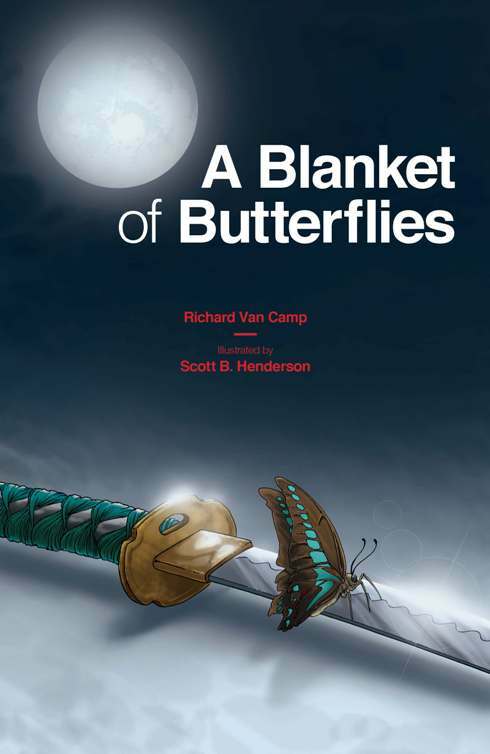 A Blanket of Butterflies, illustrated by Scott B. Henderson, is new this year (2015) from Highwater Press, an imprint of Portage & Main Press in Canada. That sword? It is a key piece of this story. As the story opens, Sonny is at the Northern Life Museum in Fort Smith, Northwest Territory. 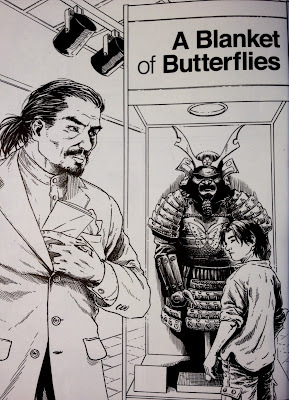 He's looking at a samurai suit of armor when he notices a man who is also looking at it. The man's name is Shinobu. See the paper he's pulling from his coat? He's at the museum with a specific purpose: to pick up that suit. It belongs to his family. The museum staff worked to identify who it belongs to, and then got in touch with Shinobu's family. I gotta say--I love how Van Camp's story gets going--and here's why. So many things in museums are there due to theft and exploitation. Grave robbing of Native graves is rampant. Native protests led Congress to take action. In 1990, Congress wrote the Native American Graves Protection and Repatriation Act to help tribal peoples reclaim remains and artifacts (see the FAQ). That law, and A Blanket of Butterflies, is all about dignity and humanity, for all peoples. Yesterday (Friday, November 14) I listened to Acimowin on CJSR, an independent radio station in Edmondton, Canada. The guest? Richard Van Camp. I listened to him talk about A Blanket of Butterflies and wish you could have heard him, too. There's a grandma in this story. She's the hero. Hearing him talk about her... awesome. Get a copy of A Blanket of Butterflies for your library or classroom, or for your own young readers. I really like it and highly recommend it. And--check out that weekly radio show, Acimowin, too, on Friday mornings. You can listen online. One of the best things people who write, review, edit, or publish children's and young adult literature can do, is listen to Native voices. Learn who we are, and what we care about. It'll help you do a better job at writing, or reviewing, or editing, or selecting, or... deselecting! Acimowin is hosted by Jojo, who tweets from @acimowin. I laughed out loud more than once, listening to the banter between these First Nations people... (Note: the radio show is not for young kids.) Love the graphics for the show! 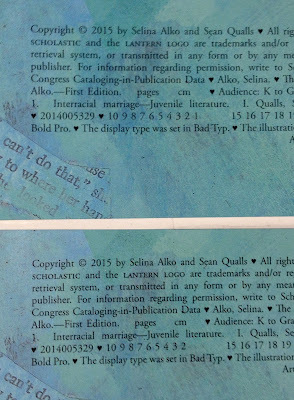 Earlier this year, The Case for Loving: The Fight for Interracial Marriage, by Selina Alko, illustrated by Alko and Sean Qualls, was published by Arthur A. Levine Books. It got starred reviews from Kirkus and Publisher's Weekly. The reviewer at Horn Book gave it a (2), which means the review was printed in The Horn Book Magazine. The review from The New York Times and my review, were mixed, and as I'll describe later, may be the reasons revisions were made to the second printing of the book. "Of course, Mildred had a right to self-identify as she wished and to have that right respected by others. Nevertheless, viewed within the historical context of Virginia in general and Central Point in particular, ironically, “the couple that rocked courts” may have inadvertently had more in common with their opponents than they realized. Mildred’s Indian identity as inscribed on her marriage certificate and her marriage to Richard, a White man, appears to have been more of an endorsement of the tenets of racial purity rather than a validation of White/ Black intermarriage as many have supposed." Fast forward to last week (November 4, 2015), when I learned that changes were made to The Case for Loving in its second printing. 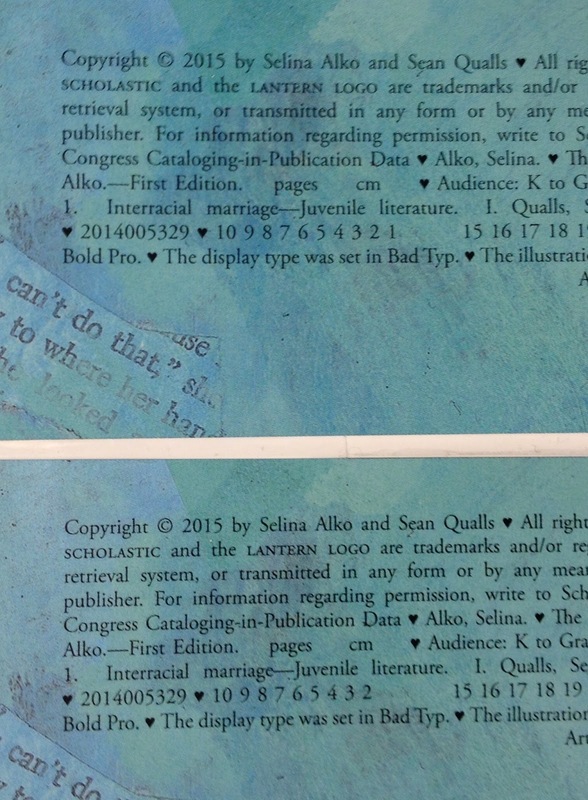 Here's a photo of the copyright page for the two books. Look at the second line from the bottom in the top image. See the string of numbers that starts at 10 and goes on down to 1? That string is data. The lowest numeral in the string is 1, which tells us that the book with the 1 is the original. Now look at the second line from the bottom in the bottom image. See the string of numbers ends with numeral 2? That tells us that is the 2nd printing. Qualls said "So, part of what happened is... There is a page with a description of Mildred and Richard." Qualls then read the revised page and the original one, too: "Richard was a tall quiet man with fair skin and broad shoulders. The person he loved most was Mildred Jeter. Mildred was part African-American, part Native American, and she was thin as a rail; that's how she got the nickname, String Bean. Richard Loving was a good, caring man; he didn't see differences. There was one person Richard loved more than the rest. Mildred Jeter was part African-American, part Cherokee, but what most folks in Central Point noticed was how thin she was; that's how she got the nickname, "String Bean." Original: Richard Loving was a good, caring man; he didn't see differences. Revision: Richard Loving was a tall, quiet man with fair skin and broad shoulders. See that change? "he didn't see differences" is gone. This, I think, is the result of Russell-Brown (of the Times) saying that him not seeing difference was implausible, especially since this book is about race. Original: There was one person Richard loved more than the rest. Revision: The person he loved most was Mildred Jeter. I don't know what that sentence was changed, and welcome your thoughts on it. In my review back in March, I said it was wrong to describe her as being part Cherokee, because on the application for a marriage license (dated May 24, 1958), she stated she was Indian. I assume the change to "Native American" rather than "Indian" was done because the person(s) weighing in on the change thought that "Indian" was pejorative. 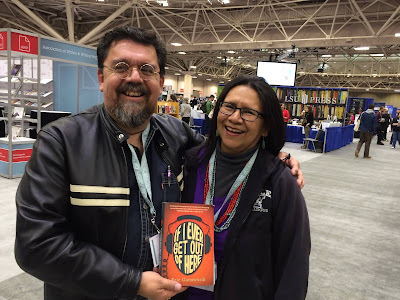 It can be, depending on how it is used, but I use it in the name of my site and it is used by national associations, too, like the National Congress of American Indians or the National Indian Education Association or the American Indian Library Association. I think it would have been better to use Indian--and nothing else--because that is what Jeter used. "Native American" didn't come into use until the 1970s, as indicated at the Bureau of Indian Affairs website and other sources I checked. In order to tell this story as determined by the Supreme Court case, Alko and Qualls had to include "part African American" because that is the basis on which the case went to the Supreme Court in the first place. I'll say more about all of this below. I think this change is similar to (1). People do notice race. Original: ...that's how she got the nickname, "String Bean." Revision: ...that's how she got the nickname, "String Bean." No change there, which is fine. Now I want to return to the video, and look more closely at (3) -- how Alko and Qualls describe Jeter. Richards: "Research is complicated, and in researching this particular book, and looking... And even having some of my law friends look at it, they were like 'well some things say she was Cherokee and some things say she was wasn't, some things say her birth certificate said this,' and... There was just a lot of information out there." Qualls: "Right. And I think that Deborah..."
Richards: "Who many of you may follow on her blog." Qualls: "Really brought issue with the Cherokee description of Mildred, and, I have spoken to at least some family members and no one really seems to know whether she was Cherokee or Rappahannock. And I think there are some... Debbie Reese may have said, or somewhere I read, that Mildred claimed not to have any African American heritage. But then I've also read that the Rappahannock Nation is less likely to recognize someone as Rappahannock if they claim to have any African American heritage. We're also talking about the 1950s and 1960s where it may have been convenient for someone to claim that they had no African American heritage. James Brown, of all people, claimed he was part Japanese, part Native American, and had no African American heritage. So, it is extremely loaded, and yeah, you know, I really don't know what to say about it. And, it comes down to ones intention, and you know, in trying to represent diversity, and the fact is, no one really knows what her back ground was. I believe that she was part African American. My gut tells me that. She looks that way, she feels that way when I see her, when I see videos of her. So, yeah, that became a little bit of a controversy and was very disturbing to my wife, who is Canadian in origin, and the fact that you're Australian, you know, its very interesting. There are two people that I know that include and have always included African Americans in their art, and without question, that's really important, I think. Qualls is right, of course. I did raise a question about them identifying Jeter as Cherokee. Based on all I've read and many conversations with people who do not understand the significance of saying you're a member or citizen of a specific tribe, here's what I think is going on. In watching videos of Jeter, Qualls said that he believes Jeter was part African American. In the video, he said "She looks that way, she feels that way when I see her, when I see videos of her." He is basing that, I believe, on her physical appearance rather than on her own words about her citizenship in the Rappahannock Nation. Qualls is conflating a racial identity with a political one. I'm not critical of Qualls for thinking that way. I think most Americans would think and say the same thing he did. That is because Native Nationhood is not taught in schools. It should be, and it should be part of children's books, too, because our membership or citizenship in our nations is a fact of who we are. Indeed, it is the most significant characteristic of who we are, collectively. It is why our ancestors made treaties with leaders of other nations. It is why we, today, have jurisdiction of our homelands. All across the U.S., there are peoples of varying physical appearance who are citizens of a Native nation. My paternal grandfather is white. He was not a tribal member. My dad and my uncle are tribal members. Myself and my siblings, though we range in appearance (I have the darkest hair and skin tone amongst us), are all tribal members. On the federal census, we say we're tribal members and we specify our nation as Nambe Pueblo. Our political identity is a Native one. Because of our grandfather, some of us look like we're mixed bloods, because we are, but when asked, we say we are tribal members, and we say that, too, on the U.S. census documents. We were raised at Nambe and we participate in a range of tribally-specific activities, from ceremonies to civic functions such as community work days and elections. What we look like, physically, is not important. In short, the revision regarding Jeter's identity is based on a physical description rather than a political one. My speculation: the author, illustrator, and their editor do not know enough about Native nationhood to understand why that distinction matters. Now let's take a look at the content of the reviews. 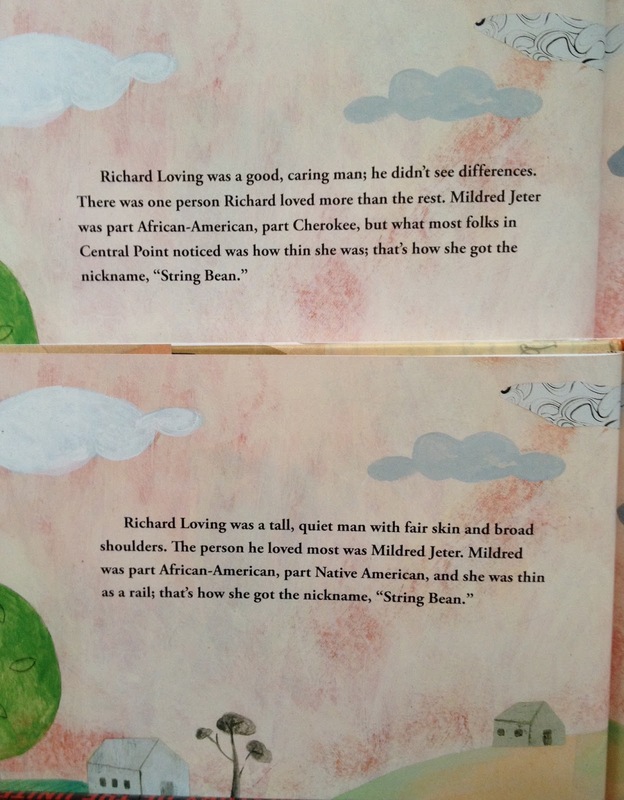 The reviewers at School Library Journal, Kirkus echoed the book, saying that Mildred was African American and Cherokee. The reviewer at Publisher's Weekly did not say anything about her identity. Horn Book's reviewer said "Richard Loving (white) and Mildred Jeter (black) fell in love and married..." Not surprisingly, then, that the Horn Book reviewer tagged it with "African Americans" as a subject, and not Native American, but I'm curious why they ignored her Native identity? Did they choose to view the Loving case as one about interracial marriage between a White man and Black woman--as the Loving's lawyers did? Perhaps. In the 1950s, Mildred Jeter said she was Indian. We don't know if she said that out of a desire to avoid being discriminated against, or if she said that because she was already living her life as one in which she firmly identified as being Indian. Either way, it is what she said about who she was on the application for a marriage license. In the 1960s, because Mildred Jeter and Richard Loving's marriage violated miscegenation laws, their case went before the Supreme Court of the United States. To most effectively present their case, the emphasis was on her being Black. In the 2000s, Jeter and her children said they are Indian, and specified Rappahannock as their nation. In the 2000s, Alko and Qualls met and fell in love. In the 2010s, Alko and Qualls worked together on a picture book about the Lovings. In the author's note for The Case for Loving, Alko said that she's a white Jewish woman from Canada, and that Sean is an African American man from New Jersey. She said that much of her work is about inclusion and diversity and that it is difficult for her to imagine that just decades ago, couples like theirs were told by their governments, that their love was not lawful. 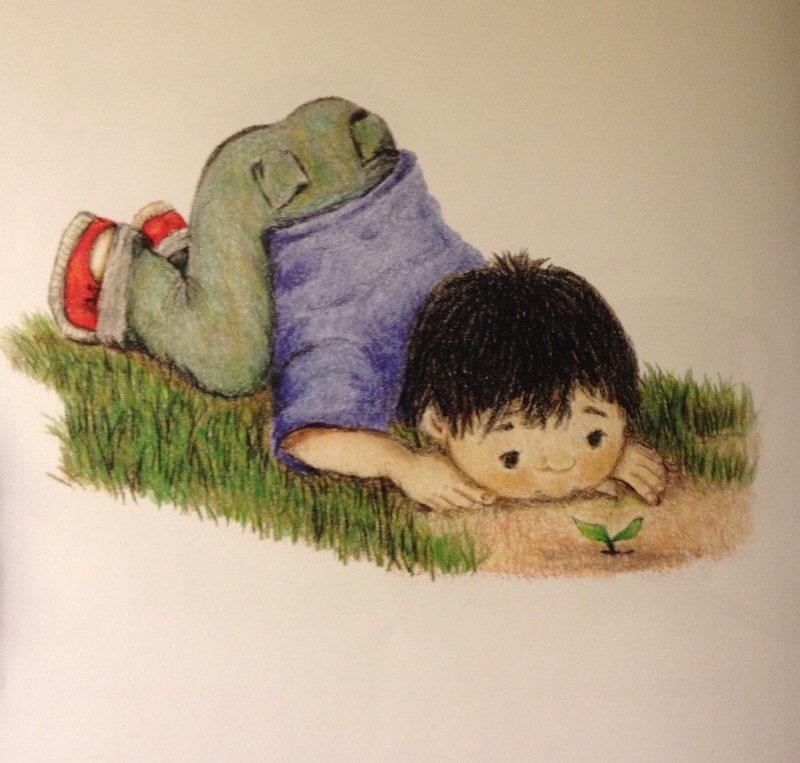 For years, Alko writes, she and Qualls had thought about illustrating a book together. The Case for Loving is that book. I think it is fair to say that the love they have for each other was a key factor in the work they did on The Case for Loving, but who they are is not who the Lovings were. That fact meant they could not--and can not--see Mildred for who she is. My husband and I are also a couple in an interracial marriage. He's White; I'm Native. If we were an author/illustrator couple working in children's books and wanted to do a story about the Lovings, we'd enter it from a different place of knowing. We both know the importance of Native nationhood and the significance of Nambe's status as a sovereign nation. He didn't know much about Native people until he started teaching at Santa Fe Indian School, where we met in 1988 when I started teaching there. What we do not have is a lived experience or knowledge of the life of Mildred Jeter as she lived her life in the 1950s in Virginia. We'd be doing a lot of research in order to do justice to who she was. At the end of his remarks (in the video) about The Case for Loving, Qualls said that it comes down to intentions, and that his wife and Sophie Blackall are very careful to include diversity in their work. He said he thinks it is important. I don't think anyone would disagree with that statement. Diversity is important. But, as his other remarks indicate, he's since learned how complicated the discussion of Jeter's identity were, then and now, too. They've revised that page in the book but as you may surmise, I think the revision is still a problem. I like the art very much and think it is important for young children to know about the Lovings and families in which the parents are of two different demographics. I'll give some thought to how it could be revised so that it sets the record straight, and I welcome your thoughts (and do always let me know--as usual--about typos or parts of what I've said that lack clarity or are confusing). Pick up a copy of That the Blood Stay Pure: African Americans, Native Americans, and the Predicament of Race and Identity in Virginia, published in 2013 by Indiana University Press. Read the chapter on the Lovings, and read Alko and Qualls and see what you think. Can it be revised again? How? Ladybug Girl in Headdress? Gone! 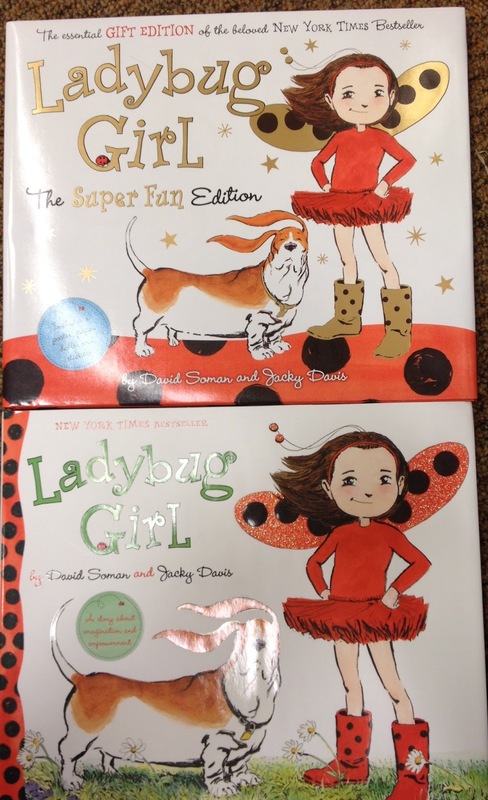 Yesterday, Betsy Bird at School Library Journal wrote about a significant change to the picture book, Lady Bug Girl, written by David Soman and illustrated by Jacky Davis. First published in 2008, it came to my attention when a reader wrote to me about the endpapers, which showed Lady Bug Girl in a headdress. At the time, I wrote a Dear Parents of Ladybug Girl post (writing to the author and illustrator as her parents). 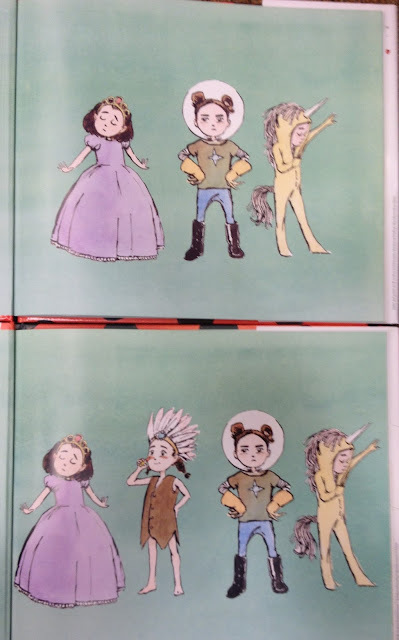 Well, a new edition of Lady Bug Girl is out, and, as Betsy noted, Lady Bug Girl in a headdress is gone from the endpapers. I was pleased as can be about that change! Below are the covers for the 2015 "Super Fan Edition" and beneath it is the original 2008 cover. It is the second book I'm writing about this year, that has been changed--for the better--and as such, something all of us can celebrate! Thank you, Soman, Davis, and Dial (the publisher) for deciding to remove it. It is a step in the right direction. Betsy and I agree--if there was a note in the book about the change, it would help people take a step in the right direction with you, Soman and Davis. For now, though, thank you! Back in April, I was up in Minneapolis for AWP 2015. Heid Erdrich snapped this photo. I meant to share it here on AICL then, but time got away from me, as it is want to do! So, here it is, today! The AWP Conference & Bookfair is an essential annual destination for writers, teachers, students, editors, and publishers. Each year more than 12,000 attendees join our community for four days of insightful dialogue, networking, and unrivaled access to the organizations and opinion-makers that matter most in contemporary literature. The 2015 conference featured over 2,000 presenters and 550 readings, panels, and craft lectures. The bookfair hosted over 800 presses, journals, and literary organizations from around the world. AWP’s is now the largest literary conference in North America. AWP 2015 was the first time I went to that conference. I was there as a moderator for a panel that included Eric and Debby Dahl Edwardson, too. Good times there, and with Sarah Park Dahlen and her family, too! The main character in Whistle is a familiar one. Readers met him before. When Richard Van Camp's The Lesser Blessed opens, it is the first day of school. Larry, the protagonist is cautious as he makes his way through the building, thinking "I'm Indian and I gotta watch it" (p. 2). One of the people he has to be cautious about is Darcy McMannus. Larry describes Darcy as the "most feared bully in town" (p. 19). Van Camp's Whistle is about Darcy--but he's not at school anymore. He's in a detention facility and writing letters to Brody, a character he beat up. The letters to Brody are part of a restorative justice framework for working with youth. I found that I needed time as I read Whistle. Time to think about Darcy. He felt so real, and people with troubles like his require me to slow down and think about young people. 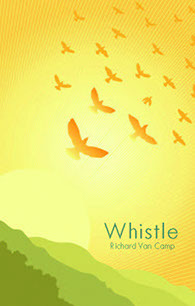 I highly recommend Whistle for young adults. Published by Pearson as one of the titles in its Well Aware series, you can write to Van Camp and get it directly from him. Due out from Tradewind Books in Canada in 2015 is Tara White's Where I Belong. The main character is Carrie, a teen with black hair and dark skin who was adopted by a white couple. This moving novel of self-discovery and awareness takes place during the Oka crisis in the summer of 1990. Adopted as an infant, Carrie has always felt out of place somehow. Recurring dreams haunt her, warning that someone close to her will be badly hurt. When she finds out that her birth father is Mohawk, living in Kahnawake, Quebec, she makes the journey and finally achieves a sense of home and belonging. One of the huge holes in children's and young adult literature are stories about Native activism. I had high hopes for this book, especially from a Mohawk writer, but the writing did not strike me as that of someone who is an insider. The dreams throughout the story put it in a space that felt exotic rather than organic, and later in the story, a Native elder is in crisis, and a white doctor (Carrie's mother is a doctor) saves her life. For me, that is the white savior trope. Not recommended. I am happy to recommend The Apple Tree by Sandy Tharpe-Thee and Marlena Campbell Hodson. Published this year by Road Runner Press, the story is about Cherokee boy who plants an apple seed in his backyard. 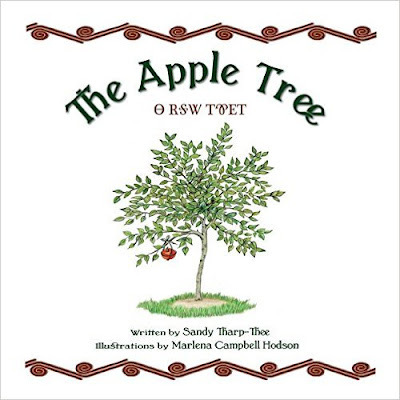 I like this anthropomorphized story very much and think it is an excellent book all on its own, and would also be terrific for read-aloud sessions when introducing kids to stories about planting, or patience, or... apples! 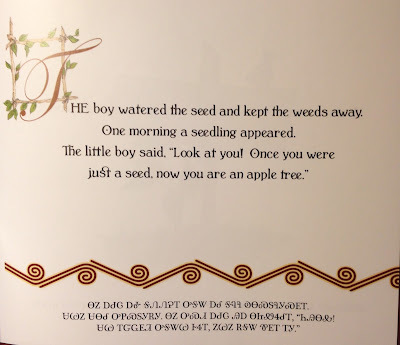 When the apple tree sprouts and is a few inches high, the little boy puts a sign by it so that people will see it and not accidentally step on it. That reminds me of my grandmother. She did something similar. To protect a new cedar tree that sprouted near a roadside on the reservation, she make a ring of stones around it so people wouldn't run over it. 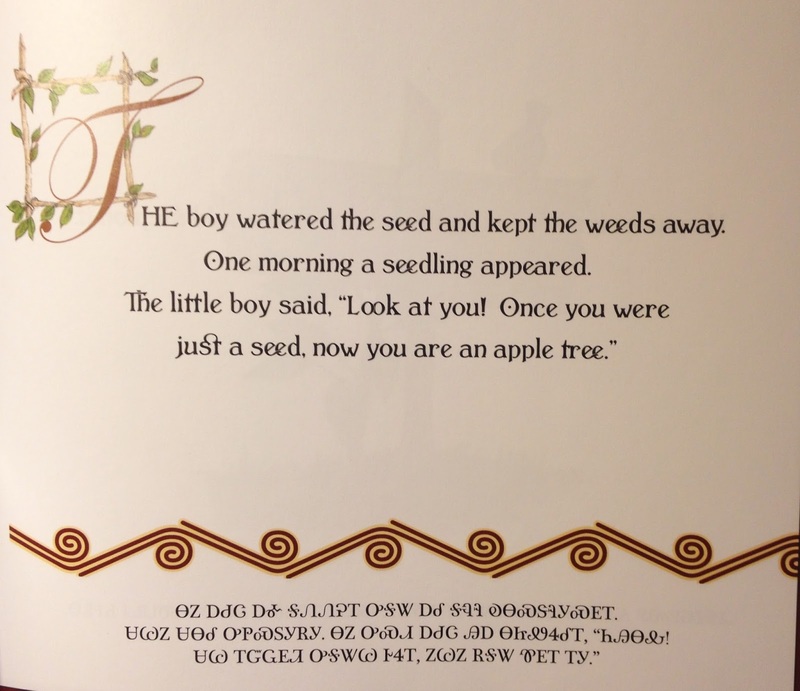 The apple tree in Tharp-Thee's story grows, as does the boy, and eventually the tree produces apples. 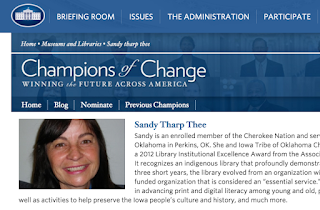 When you read it, make sure you show kids the Cherokee words, and show them the Cherokee Nation's website, too. Help your students know all they can about the Cherokee people. Published in 2015 by The Road Runner Press. The author, Sandy Tharpe-Thee, is a tribal librarian and received the White House Champion of Change award for her work. She is an enrolled member of the Cherokee Nation.